I don't know about your family, but we are so excited for the new Disney Beauty and the Best live action movie to come out in theaters. I feel like my daughter has been asking about it for a year now. Beauty and the Beast is one of her favorite stories and Disney animated movies. Because she's so excited, I knew I had to make her a lunch to celebrate. 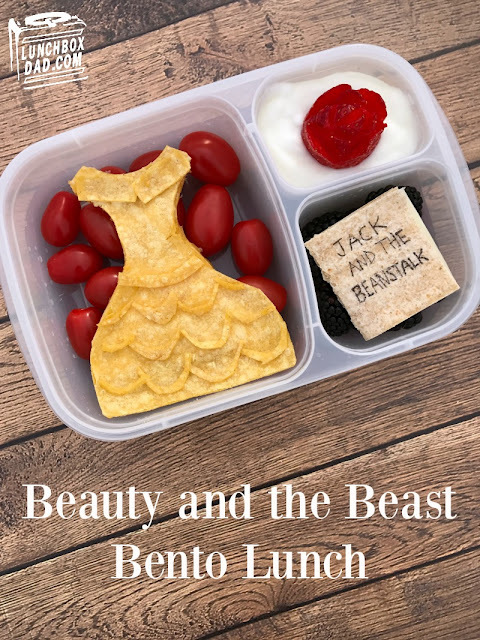 This one includes Belle's famous dress (which is actually a quesadilla), Beast's rose, and the book the Belle is reading towards the beginning of the movie! I made the lunch in an Easy Lunch Boxes container. Will you be seeing this movie with your family? Have you seen it already? Let me know in the comments below! 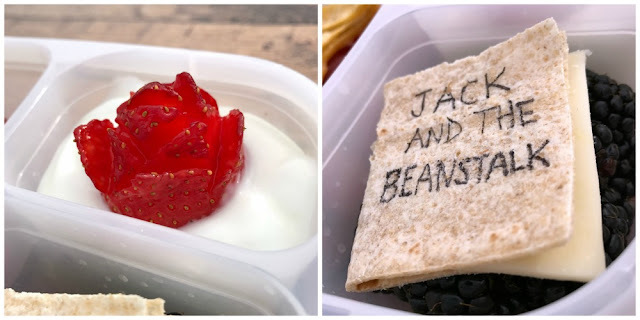 Read on to find out how I made the lunch for my daughter. Directions: Cut corn tortilla into the shape of Belle's dress. Repeat with second tortilla. Place cheese in the middle and heat in microwave to melt cheese. Cut out dress decorations from tortilla scraps. Attach with either cream cheese or a little honey. Place dress on top of grape tomatoes in main compartment. Slice strawberry in the shape of a rose and put in yogurt in side compartment. Cut rectangle piece of whole wheat tortilla. Fold in half and put white cheese in the middle. Use food coloring marker to write name of book on outside. Place on top of blackberries in second side compartment. Subscribe to LunchBox Dad for FREE updates and recipes! Harry Potter Birthday Party Ideas on a Budget! 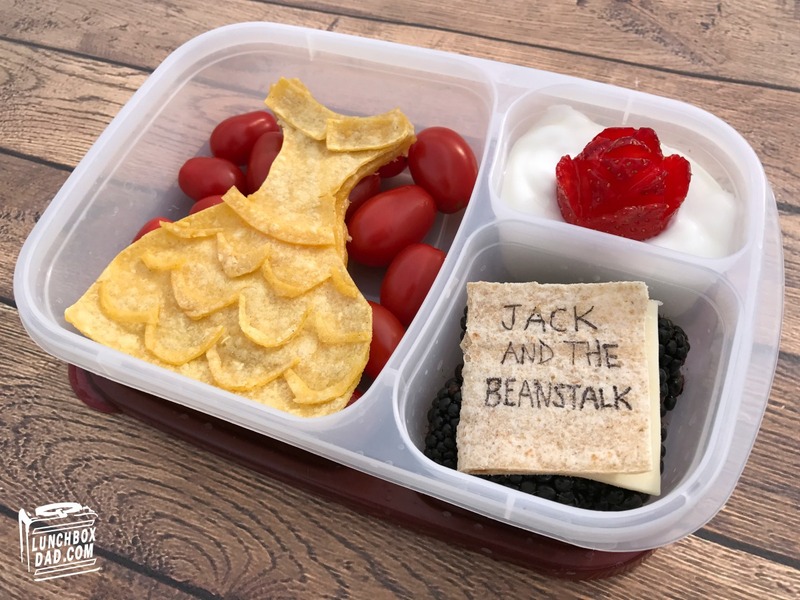 Mo Willems' Because Book Musical Lunch Box Recipe Ideas! Easter Bunny School Lunch Recipe Idea! St. Patrick's Day Lunch and Recipe Ideas! Translate This Into Your Language! © 2012-2019 WWW.LUNCHBOXDAD.COM. Powered by Blogger.